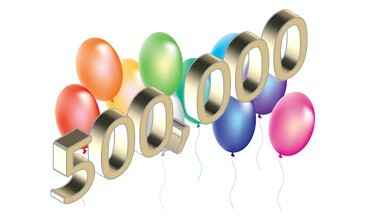 Since the relaunch of our website last year, we have clocked half a million downloads from the technical library. We are especially happy because from the time we relaunched the website we had to ‘start from scratch’ and establish all of our search engine rankings and external links. We now have typical mid-week downloads of over 2500 items per day and we are well on the way to becoming the primary global aerospace technical resource. We have big plans for the technical library for the future and will continue to expand both the references and spreadsheets and add new sections and features. A big thank you to all of our website visitors and users! Thanks also to Mike Sharpe at Georgian Media and Kenan Stewart at our Cayman office for managing the site and organizing the content.